Read the first official synopsis of Avengers 4. We still don't know the official title for the sequel to Avengers: Infinity War" but we do have a plot synopsis. I'll break down everything we know. License Global Magazine released their latest issue yesterday and it includes the first synopsis of the untitled Avengers 4 movie. This is the same magazine that released the first synopsis of "Avengers: Infinity War". So they have a good track record. "A culmination of 22 interconnected films the fourth installment of the Avengers saga will draw audiences to witness the turning point of this epic journey. Our beloved heroes will truly understand how fragile this reality is and the sacrifices that must be made to uphold it"
There's a lot to unpack in this, possibly temporary, summary. First, it says this is a "turning point" in the films. This matches Marvel Studios president Kevin Feige's comments that this will be the end of the MCU as we know it and a beginning of a new world. "Well, certainly the intention of this ["Avengers: Infinity War] and of the next Avengers film, the decisions we make will be final and will be given an emotional conclusion to the story at hand," Feige told Fandango. Second, it says that they'll understand "how fragile this reality is". That implies that some of the things we know and have seen in Marvel films may or may change dramatically. We can expect multiple realities and or timelines. The Marvel comic book universe is full of alternate realities so that may happen with the film. Third, the synopsis of "Avengers 4" says "sacrifices" will be made. Many of the actors in the MCU have said they're interested in leaving the franchise. So we can expect some dramatic deaths in Avengers 4. Maybe more than we saw in "Infinity War". We'll find out more in the future. Official synopsis: "A culmination of 22 interconnected films the fourth installment of the Avengers saga will draw audiences to witness the turning point of this epic journey. Our beloved heroes will truly understand how fragile this reality is and the sacrifices that must be made to uphold it"
Check back with the Geek Twins for more Untitled Avengers Film movie news and hype! 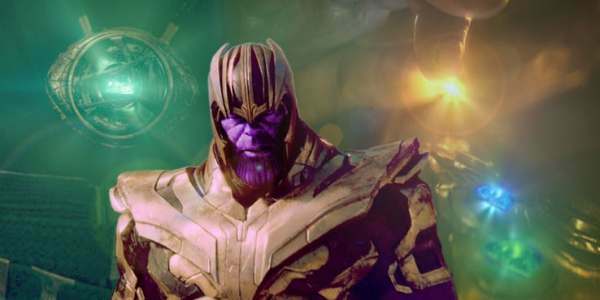 What do you think of the synopsis for "Avengers 4"? Note: Some links may lead to an approved affiliate and small proceeds from the sale go to support the blog. Thank you!